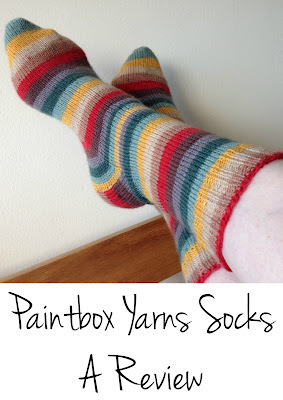 A few months ago Paintbox Yarns got in touch with me to ask if I would like to test drive their latest yarn: Paintbox Yarns Socks. 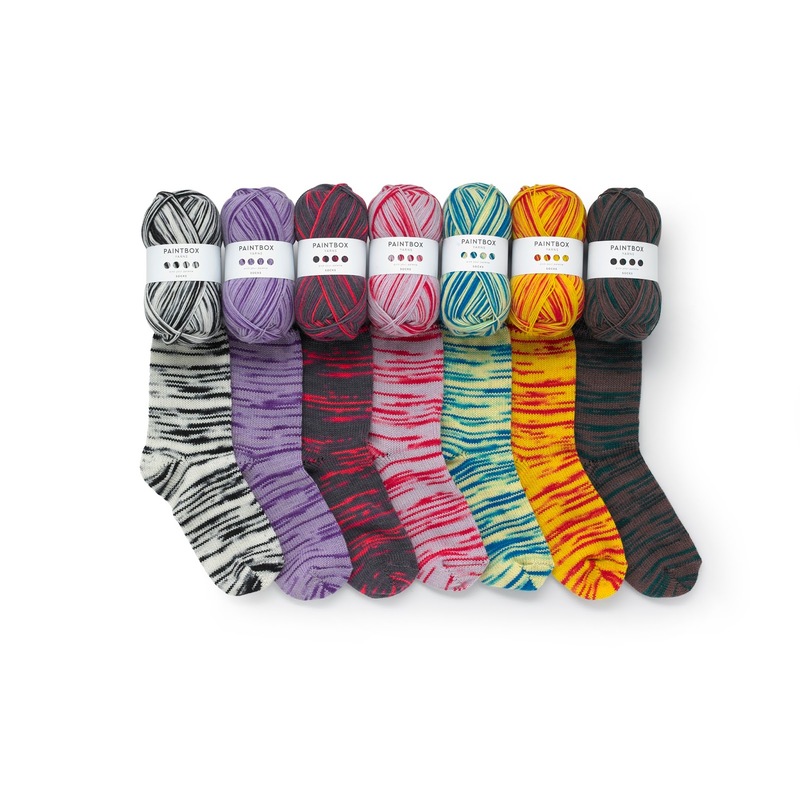 * Paintbox Yarns have been producing yarn since last year, and pride themselves on supplying affordable yarns in a huge variety of colours across a range of yarn weights, but Paintbox Yarns Socks is their first foray into sock yarns. As I love knitting socks, and have liked the other Paintbox Yarns that I have tried, of course I said yes! As with the other Paintbox Yarns, the new sock yarn comes in lots of colour options. The range is made up of 28 colours, divided into 4 families: mock-fairisle, pixel (which look a little bit like a uniform speckled yarn), stripes (including both graduated and distinct colourways), and Zebra stripes. I was allowed to choose any colour from the range and went for one of the defined stripe colourways (specifically because the colours reminded me of the Doctor Who scarf). Top to bottom: Stripes, Pixel, Zebra. Images copyright Paintbox Yarns. My first impression of the yarn was good. The yarn is a 75% wool, 25% nylon blend, and is smoothly spun. The yarn isn't as soft as a merino, but not as scratchy as West Yorkshire Spinners Signature 4ply, which is my go-to for socks, especially if I want stripes. I'd say the feel of the yarn is very similar to the sock yarns produced by Regia and Opal. 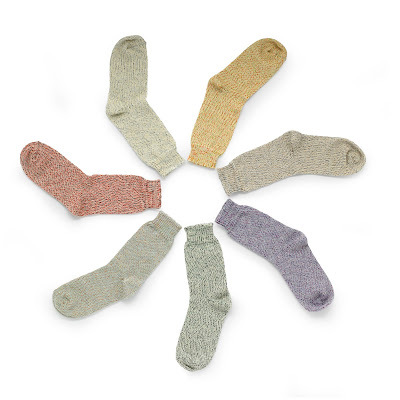 Each ball of yarn is 390 m (427 yds), which is enough to knit socks for all but the largest of feet. My knitting experience with the yarn was good. The stripes are uniform widths and the colours have been selected such that there is good contrast between adjacent stripes. Each repeat in the colourway I tested has 8 colours, which is on the generous side; I really enjoyed seeing each stripe emerge as I knitted, and the yarn got lots of admirers as I knitted at various knitting groups. While the joins between the stripes are clean, there are some colour spots on some of the stripes, but I don't think that on this occassion they detract from the yarn, but that might be something to look out for. The yarn was smooth throughout the ball, and I didn't find any knots. I've worn my finished socks a couple of times and they feel good on my feet - the yarn is sufficiently squishy that I can't feel every purl bump, and I think it will wear well. The yarn is designed to be easy to care for, and is machine washable at 40 degrees, so I think this would be a good yarn to knit gift socks with, so long as you can trust the recipient not to tumble dry them. The yarn costs £8.79 per ball, which is about what I'd expect for the quality of yarn. I do have a couple of comments on the colour range. The range is good, with several masculine options, which is always nice to see. 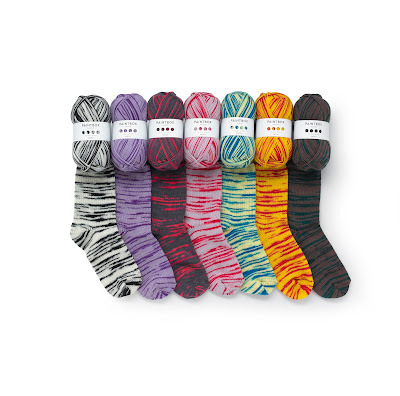 I love the animal stripes, but think Paintbox Yarns has missed a trick by not having a tiger colourway. 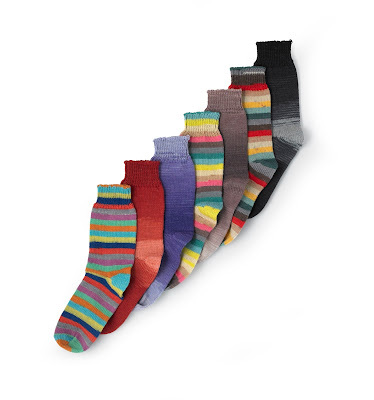 I was also a little disappointed that there were only three solid stripe colourways, but only because I love stripes. If you fancy giving the yarn a go, you can buy it here. * If you want to make socks that match mine you'll need the Summer Vacation colourway. I'll defintely be knitting more socks with this yarn. I think I'll try the Zebra stripes next. Thanks for reading. What's your favourite sock yarn? This yarn was supplied by Paintbox Yarns for review purposes. All opinions are my own. Unless otherwise stated, the photos in this post are (C) Vikki Bird.